A podcast about all things Macintosh. For Mac geeks, by Mac geeks. 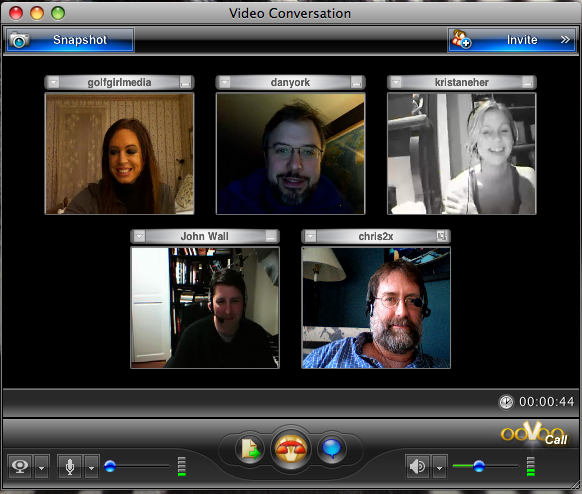 A special episode of the Maccast from Macworld 2008. An interview with the guys at Boinx Software. We go over some of the new features and enhancements due out in the next version of Fotomagico, their great slideshow application. Apple updated it’s web site this morning announcing updates to both the Macbooks and Macbook Pros. Both models has been updated with faster processors and larger hard drives. The Macbook Pros will now be available in models with processors running at up to 2.6GHz with 6MB of shared L2 cache and come with storage options up to 300GB. Most Macbook Pro models now will come standard with 2GB of RAM and use NVIDIA graphics processors with up to 512MB of video memory. The biggest news for the new Pro models however is they will come standard with the new Macbook Air style Multi-Touch track pad allowing them to use gestures just like their slimmer cousin. The new Macbooks will offer processors ranging from 2.1 GHz and 2.4 GHz. The two white models now come in 2.1GHz or 2.4 GHZ versions with 120GB or 160GB hard drives. The black Macbook is offered up with a 2.4GB processor and a whopping 250GB hard drive. The 2.4GHz model also ships with 2GB of RAM and the Macbooks are upgradable to 4GB of RAM. Available immediately, the new MacBook and MacBook Pro models start at just $1,099 and $1,999, respectively. Additional details and tech specs are available at Apple.com. A podcast about all things Macintosh. For Mac geeks, by Mac geeks. Show 216. iPod Shuffle price drop. Apple releases XSan 2 and kills off XRaid. American Idol puked on my iTunes. iTunes 7.6.1 update. MacBook, MacBook Pro Keyboard Firmware Update 1.0. DoubleTwist frees iTunes music to other devices. Apple patenting podcast tech. I Jailbroke my first iPhone. 20″ Aluminum iMac gradient display debate. Replying in Mail with quoted text. Cleaning up Flash cookies (.sol files). Syncing OS X home directories. Quick toolbar TimeMachine access in Finder. Encoding Flash video for the web. Are Leopard’s Parental Controls busted? Extending AppleTV’s wi-fi range. Thoughts on the ModBook. A podcast about all things Macintosh. For Mac geeks, by Mac geeks. Show 215. A slightly different type of show today as my Mac Mini that I use to produce the show is in the shop. I tell the tale of the untimely death of my Mac Mini’s hard drive and we take a look at Apple’s new Apple TV Take 2 software. I go over my thoughts and impressions on the delayed and much anticipated new features. Well gang, sometimes with great pleasure also comes great pain. I was all excited this evening to get home and upgrade my Apple TV and I actully did just that. And much rejoicing ensued. The upgrade went smoothly and I was getting ready to view some content streamed off my Mac Mini (the one I use to produce the Maccast) when I noticed a problem. The Mac Mini wasn’t responding. I went downstairs to check on it and discovered a frozen Mac with the spinning beachball of death staring me dead in the face. Strange, but no big worry, right? I powered down and booted back up. On boot there was a long delay on the grey screen with the Apple logo and then mysteriously the Mac Mini just powered off. Hmmm. Try again. Same result. Uh oh! Ok, restart and boot into single user mode. Run fsck. Now freak out. The scan results in a kernel: disk0s2: 0xe0030005 (UNDEFINED). staring back at me. A quick Google gives a mixed prognosis. Everything from needing to simply to a fresh reinstall o OS X to a possible total hard disk failure. However you look at it, not good. My gut reaction is that I am a victim of the dreaded Seagate 2.5″ 7.01 firmware defective drive syndrome I told you about on a past Maccast (read here if you need to jog your memory). I had confirmed my Mac Mini drive was one of those models, so it seems likely. Tonight I am out my production system and it will have a date with the Apple Geniuses in the morning. So now I have bad news for me and bad news for you. First the bad news for me. While I do have a full TimeMachine backup to restore from when the Mini returns from Apple, at the time the Mac Mini broke down I had been in the process of re-creating a new SuperDuper backup with the new Leopard compatible version. Trouble is, it had failed earlier in the day (I actually ran out of drive space) and so I don’t have a full Super Duper clone. Not a huge deal, but I can’t do a quit boot from external to get back up and running again quickly. Now my bad news becomes your bad news because I was hoping to get a show out today going over all the new Apple TV goodness among other things. So sorry, but there is going to be another delay in getting out the next episode. I’ll know more tomorrow when Apple tells me how they are going to fix the Mini. So hang in there and I will hopefully be back up and podcasting again soon. Keep the faith. “Incredible” inspiration for the Macbook Air? So I talked about this on a recent episode of the Maccast Loop, but in case some of you missed it I thought I would mention it here. 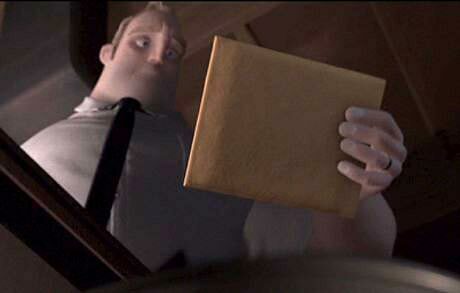 The other day I was watching the Pixar film “The Incredibles” and noticed it had a scene that could have possibly inspired the Macbook Air. If not, it at least has an eerily predictive nature about it. Since Jobs was in charge at Pixar at the time it just made me wonder if maybe the scene inspired him to think up the Macbook Air or was it just random coincidence. Maybe the ad agency just borrowed the concept for the commercial, who knows? In the scene Mr. 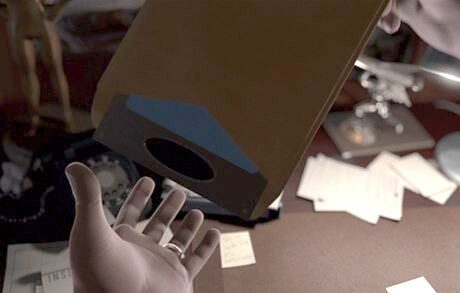 Incredible gets a secret message delivered in the form a ultra-thin tablet-style computer which he slips out of a manila style envelope. Take a look at the two images below (thanks Robert for the caps) and you’ll see what I mean. A podcast about all things Macintosh. For Mac geeks, by Mac geeks. A special episode of the Maccast from Macworld 2008. I get to talk with one of my favorite Mac developers Paul Kafasis from Rogue Amoeba and discuss the new version of Airfoil. This app will let you take audio from any source on your Mac and send it to multiple Airport Express base stations, Macs, or PCs. Not only that but it will do it wirelessly and in sync. With their included video player it will even do it for video. Cool stuff, so listen up.